The Birthday Fairy- A Magical Birthday Tradition - So Festive! 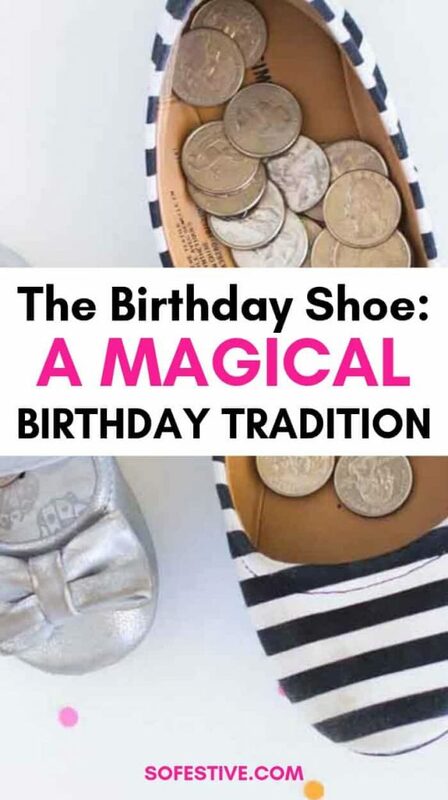 This Birthday Shoe Birthday Tradition has been handed down for 3 generations! It’s simple and a fun way to add a little extra excitement to your children’s birthdays. Plus, it pays to get older! If you’re looking for a simple way to add a little magic to birthdays at your house, you’ll love this fun birthday tradition. You have heard of the tooth fairy, I’m sure. You know, the little fairy that leaves you money under your pillow for your tooth? In our family, it wasn’t the tooth fairy that we looked forward to. It was the Birthday Fairy. You’re probably wondering what the Birthday Fairy is all about. The Birthday Shoe has been a tradition in our family for 3 generations, starting from my grandmother Helen. On the eve of my mother and her siblings birthdays, they would put out their favorite shoe. In the morning of their birthday, they would wake up to find that the birthday fairy had visited and left special birthday quarters. 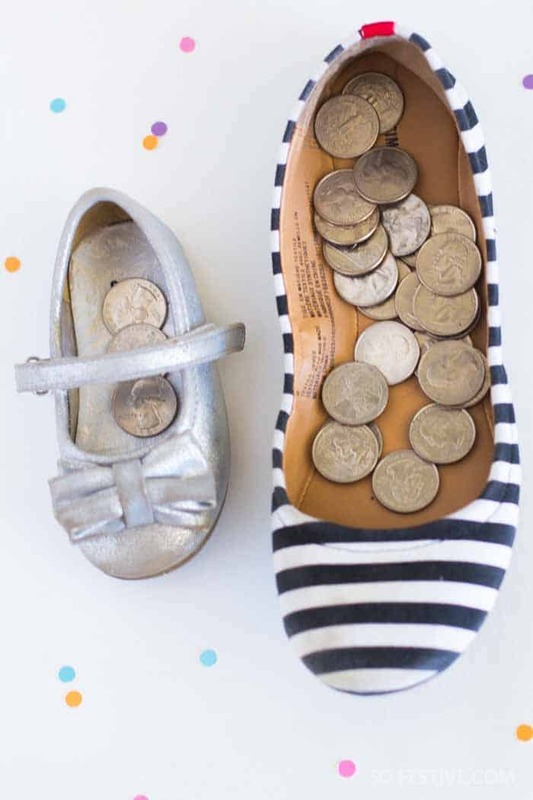 Inside their shoe, they would find one quarter for every year old they were, plus one extra for good luck! The fun thing about this money was that they could spend it on whatever they wanted, which was a rare treat for them. On the eve of your birthday, the birthday person picks their favorite shoe to leave out by their bed. 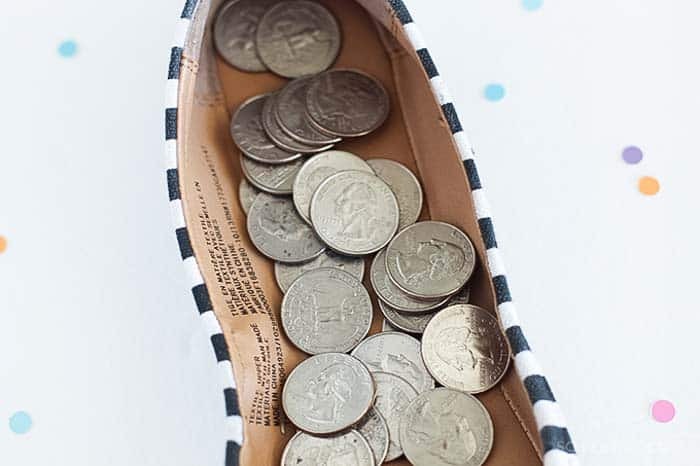 The Birthday Fairy comes in the night and leaves quarters in the birthday shoe. The rule for birthday quarters– they can be spent on anything the birthday person wants! How many quarters does the Birthday Fairy leave? Here’s the formula: 1 quarter for every year old the birthday person is. Plus one extra for good luck! 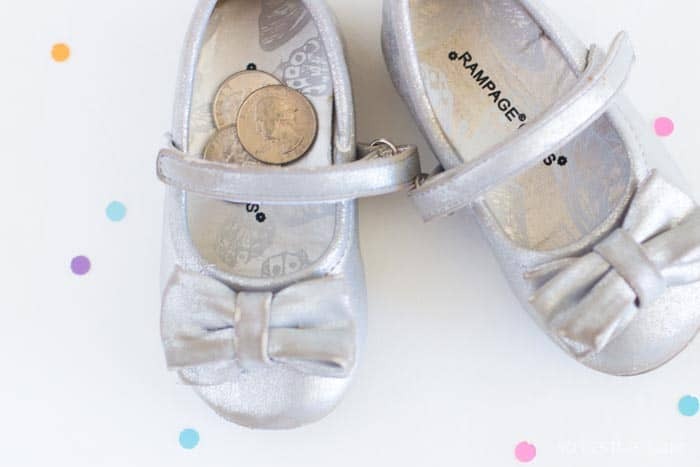 So, if you have a daughter turning 5, she would find 6 birthday quarters in her shoe! The best part of this tradition is that it pays to get older! My husband and I still leave our birthday shoes to this day. Enjoy the Birthday Fairy Tradition! Share this fun ideas with your friends by pinning it! Thow An Airplane Birthday Party!